As noted above, the kitchen is the heart of Ulvhäll Mansion. Rather than being a forbidden area, out of bounds to guests, it is here that many guest parties choose to spend most of their time. 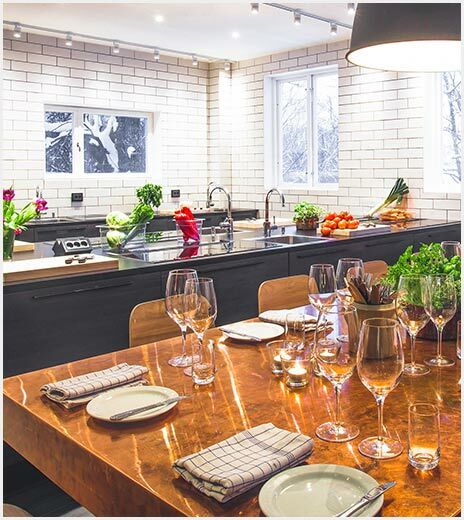 You can socialise at the large rustic table in the middle of the kitchen while your colleagues are cooking, or have breakfast and meet for coffee there. We all know what’s it like at parties… people gather and hang out in the kitchen. 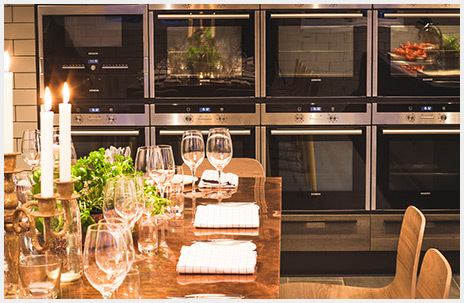 Many guest parties chose to turn cooking into a central activity. 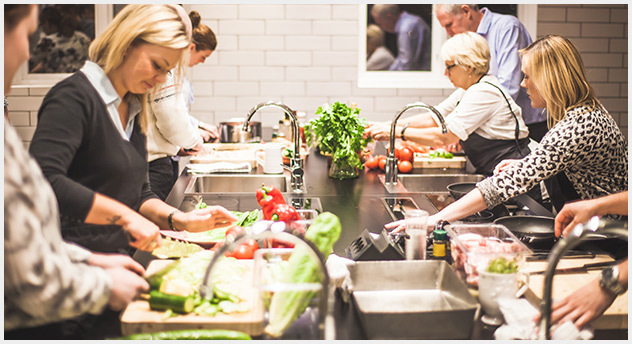 You have the possibility of cooking your own food under the skilled supervision of some of the best chefs that Södermanland and Stockholm have to offer. You choose the theme for each meal according to your own interests. Game, fish, … it’s up to you! Why not turn cooking into a group activity and use it to study the group’s ability to cooperate and to offer insights into how to better address the everyday challenges of cooperation in your organisation? 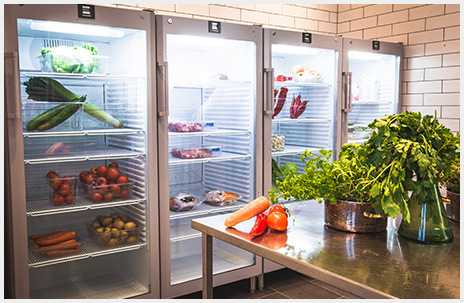 The ingredients to be used in preparing your meal are tastefully arranged in a special pantry. The alcoholic beverages the guests have brought with them are stored in a separate room. By bringing your own wines , for example, your group can enjoy high quality wines without paying sky-high bar prices. The alcoholic beverages the guests have brought with them are stored in a separate room. By bringing your own wines , for example, your group can enjoy high quality wines without paying sky-high bar prices.